Knives and pocket tools aren’t supposed to be play toys, but at some point you need to teach your kids how to safely use them. 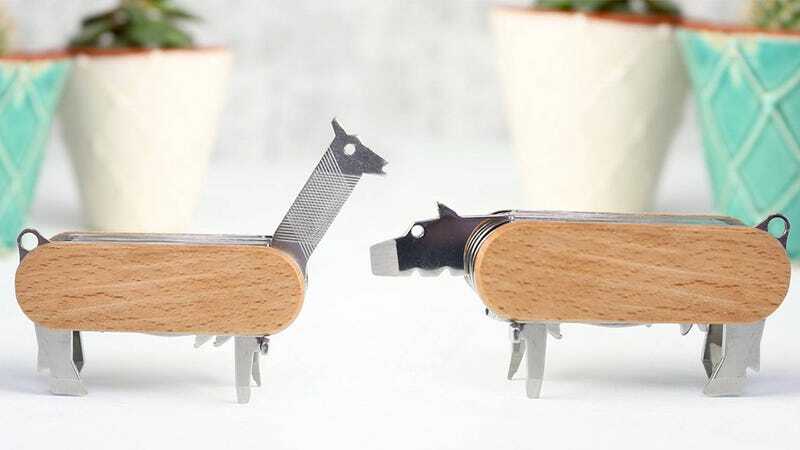 So why not start with Kikkerland’s Animal Multitool that features seven functional elements, but also unfolds into a bunch of adorable little animals? Hidden amongst a llama, a rhinoceros, and other creatures, you’ll find a flat head screwdriver, a bottle opener, a knife, a wire stripper, a file, a Phillips head screwdriver, and a sharp punch.